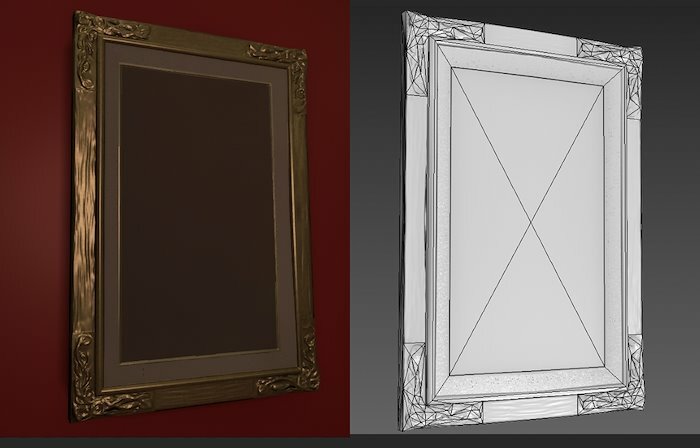 A picture frame for the same Unreal4 environment I've been working on, 316 tris, 512px. Sculpted in zBrush. I'm still a little tossed up about what to put in the frame, on one hand I really want to sit down and crank out a quality painting, on the other hand I have a lot of work left to do on the rest of the environment.